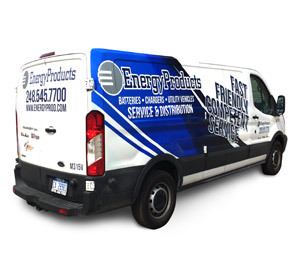 Energy Products provides on-site service of all brands of industrial and utility vehicles in Eastern Michigan and Northwest Ohio. This includes indoor / outdoor carts, personnel carriers, flat bed trucks, golf carts, tractors, tugs and trailers for brands such as Taylor Dunn, Club Car, AMG Mercury & More! We modify new and existing vehicles for your application and your custom needs. We add custom cabs and weather enclosures for outdoor use. From the smallest repair to welding and engine rebuilding, we get your vehicle back to you in a timely fashion. Nobody has more stock and better pricing on starting batteries or deep cycle batteries for electric trucks. If you have a fleet of vehicles or lack the resources to work on site, we will propose a PM program that fits your business. Off hour and emergency service calls available. 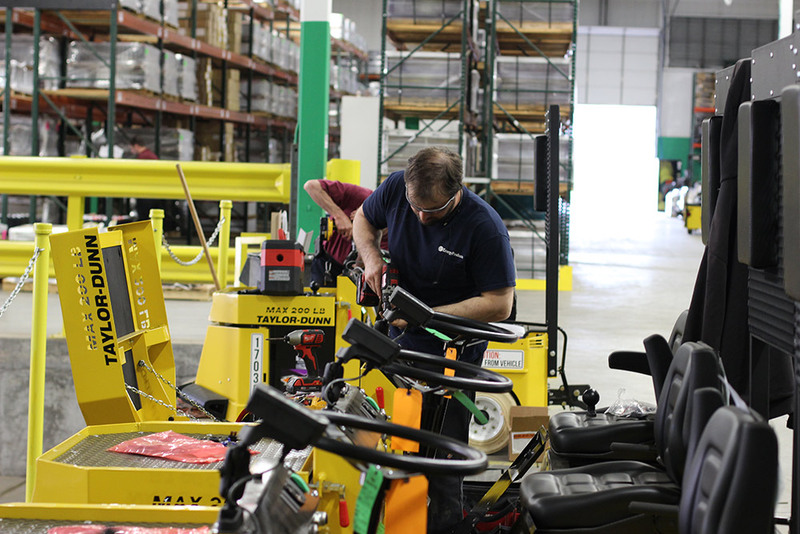 When equipment goes down at your facility, you need trained technicians to respond quickly. We respond with service of all brands of industrial batteries and chargers in the field. Experienced professionals can troubleshoot and repair your equipment on site. Our fully equipped service vans carry hundreds of common battery, charger and watering system parts. If you invest in electric lift trucks, you need to keep your batteries clean and performing at their peak. We offer PM services to evaluate, test and monitor your fleet and provide straightforward recommendations. With our cleaning system, we neutralize wash and clean batteries at your facility. This includes safe & legal processing of wash water and all the related environmental concerns. Need assistance or recommendations on a troublesome battery charging area? We can provide training for your personnel responsible for using, watering and maintaining the battery fleet. We offer multi-media presentations from the OEM’s as well as real world consultations. Ask for a survey to see if your charging area is in compliance with OSHA or meets the best practice standards of others in your business. Copyright (c) 2015-2019 Energy Products Inc.